Octalsoft’s oracle remote dba services provide effective database administration, monitoring and troubleshooting solutions for Oracle, Microsoft SQL Server and OpenSource MySQL. 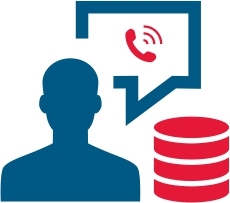 Addressing the critical oracle dba support services with appropriate DBA consulting, our systems maintain large scale database systems, internet e-commerce databases, as well as decision support databases for a clientele spread across the globe. This remote DBA service offers all-inclusive coverage in areas of database administration, 24X7 monitoring, issue resolution, proactive performance management and on-demand consulting services. Why Octalsoft for your Database support needs?